Palestinian leader Mahmoud Abbas was re-elected as chairman of the Palestine Liberation Organisation's (PLO) Executive Committee on Friday, as the veteran leader sought to renew his legitimacy while installing loyalists who he hopes will eventually continue his legacy. The expected reappointment came at the end of a four-day meeting by the Palestinian National Council (PNC) in Ramallah in the occupied West Bank. The PNC chose a new Executive Committee, the most senior body of the PLO. "Members of the PLO Executive Committee consulted among themselves and decided to elect brother Abu Mazen (Abbas) as the chairman of the Executive Committee," said Azzam Al-Ahmad, a staunch ally of Abbas who was among nine new people elected to the 15-member committee. The PNC was convened by Abbas in part to forge a strategy in response to US President Donald Trump's decisions to recognize Jerusalem as Israel's capital, and to move the US embassy to the city. The first PNC meeting in 22 years was overshadowed by criticism of Abbas's opening speech on Monday, which drew accusations of anti-Semitism. The new Executive Committee was not elected but were chosen by consultation with the PLO factions who took part. 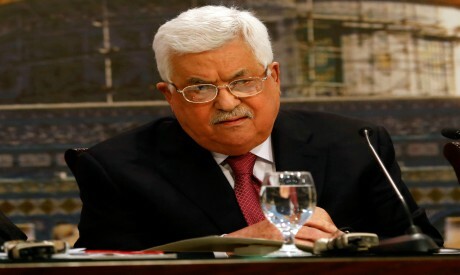 Abbas, 82, is thought to have achieved most of his goals at the meeting, including the removal from the committee of some of his rivals, including Yasser Abed Rabbo and former Palestinian Authority prime minister and negotiator Ahmed Qurei. Abbas left the door open for other factions who boycotted the session, such as the Popular Front for the Liberation of Palestine, to win one of three seats that have yet to be filled. He also said that a rival Islamist group such as Hamas was welcome to come on board "if it accepted the national unity and if it accepted the PLO." Hamas and Islamic Jihad boycotted the meeting, along with some PLO factions. Some did not want to attend an event held in the Israeli-occupied West Bank, and others wanted the meeting postponed to allow for greater consultation and more time for reconciliation between the two main rival factions, Hamas and Fatah. The leader of Abbas's most powerful rival, Hamas, dismissed the four-day session as a "clapping party" for Abbas.